"Had a completely positive experience and feel the staff is super supportive and caring!" "Dr. Gago and the staff are incredibly helpful. Definitely worth a consult!" Gago Center for Fertility is a fertility clinic helping couples throughout Brighton, Lansing, and Ann Arbor, Michigan, realize their dreams of starting a family. Launched in 2007 by Laura April Gago, MD, the practice has become a valuable asset in the community for couples struggling to conceive. Dr. Gago started Gago Center for Fertility with the sole purpose of providing personalized, compassionate fertility care to couples throughout their reproductive journey. At the clinic, couples are treated to comprehensive fertility evaluation, care, and treatment so they can conceive as soon as possible. Gago Center for Fertility is equipped with state-of-the-art technology and the most advanced fertility treatments available. Some of the services offered include assisted reproductive technology, such as; in vitro fertilization, preimplantation genetic testing for monogenic/single gene defects, intracytoplasmic sperm injection, intrauterine insemination, and ovulation induction. Gago Center for Fertility is set apart from other fertility clinics thanks to Dr. Gago’s dedication for creating cutting-edge, personalized care for her patients, understanding that no two cases are alike. She truly goes above and beyond to help her patients through their fertility struggles and updates her practice based on new evidence and research in the reproductive medical field. Dr. Gago also has a nonprofit organization called Laura’s Hope, which offers grants for fertility treatments to couples who have experienced pregnancy loss, neonatal loss, or recurrent pregnancy loss. After several years of trying to conceive we were referred to Dr. Gago. Believe me when I tell you that there is no better fertility doc in all the land. She’s comforted and encouraged us after failed attempts, she’s cried with us and shared in our excitement as a little heartbeat was finally heard. It’s these things that truly make her the best at what she does. Struggles with infertility can take a toll, but when your doctor and her entire staff are in your corner rooting for you it can make a world of difference. Pippa arrived on February 20, 2018! She is our miracle baby after our third and final try at IVF. We can’t thank Dr Gago and her staff enough for all their help and support!! My husband and I couldn’t thank Dr Gago and staff enough. We tried for years to get pregnant on our own with no luck. We trusted the process (it was emotional!) And after a year we got our positive test. We couldn’t imagine not having Charlotte in our lives. I will never forget the staff who played a part in helping us add her to our family. Don’t wait if you are trying, you won’t regret it. We loved working with Dr. Gago and her team. Being two women, we needed help from the beginning! We were extremely lucky and got pregnant on our first round of IUI. On February 3, 2016, Rebecca had our two week over due, 10lb baby, Rhuland (Rhu). We are smitten and cant wait to try for the next one! 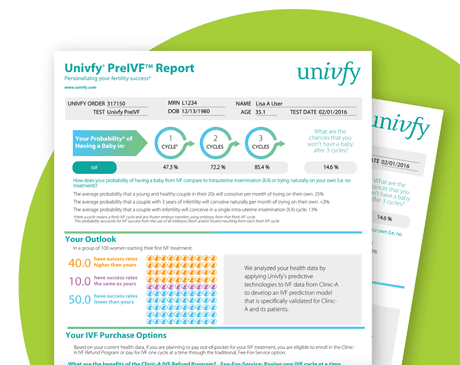 We're proud to offer Univfy PreIVF Reports to show our patients their personalized chances of IVF success based on their own health data, not national estimates. This exciting new data technology lets us qualify many more patients for our IVF refund program. If you do not see your insurance on the list or have any questions, please call our office. We do not accept Medicare, Medicaid or Total Health Care. I have enjoyed caring for your family and being a part of your fertility journey. I am retiring from the practice of Reproductive Endocrinology, my last day with Gago Center for Fertility will be on April 21st, 2019. "Very nice. Went over everything with us and answered all our questions. The staff was very friendly and respectful." "Without Dr. Gago, I would never have the absolute joy of being a mom. I've never had a doctor give me a hug during tough times and joyous times. Let go and let Gago!"  "Dr. Gago and her staff are phenomenal and I would highly recommend Gago Center for Fertility to anyone looking to start or expand a family. " "The office is so nice and such a great atmosphere. The receptionist always greeted me with a smile, and all the people working there were very compassionate." "Dr. Gago and her staff have made a beautiful and modern practice that has one of the highest success rates of any REI in the area."